In this June 24, 2018, file photo, a security guard checks cars at the entrance to Casa Padre, a former Walmart which is now a center for unaccompanied immigrant children in Brownsville, Texas. A California federal judge on Monday rejected the Trump administration's efforts to detain immigrant families for long terms, calling it a "cynical attempt" to undo a longstanding court settlement. 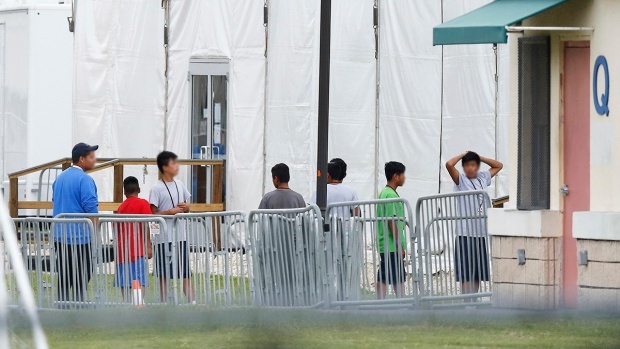 The Trump administration said Gee's previous rulings had made family detention unlikely and provided an incentive for a surge of immigrants to bring children across the border illegally with the expectation they wouldn't be locked up. Gee called the administration's request "a cynical attempt" to shift responsibility to the court "for over 20 years of Congressional inaction and ill-considered executive action that have led to the current stalemate." Three years ago, Gee rejected a similar effort by the Obama administration. She ruled at the time that immigrant children generally can't be held longer than 20 days. The application to change the Flores agreement — named for an El Salvador immigrant who was 15 when the case was brought in 1985 — was "procedurally improper and wholly without merit," said Gee, who was nominated to the court by President Barack Obama. The Department of Justice was reviewing Monday's ruling and did not say if it would appeal. "We disagree with the court's ruling declining to amend the Flores Agreement to recognize the current crisis of families making the dangerous and unlawful journey across our southern border," spokesman Devin O'Malley said in a statement. 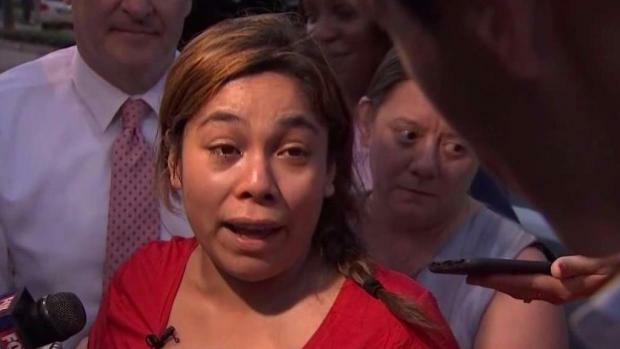 "Sifting through the government's false narrative, the court clearly found that the Flores settlement has never resulted in the separation of families," Schey said. "President Trump needs to take responsibility for his own misguided policies." The government had claimed in its filings that Sabraw's ruling trumped the Flores agreement. Gee rejected that argument on several grounds, saying the U.S. was relying on a "tortured interpretation" of the deal. Associated Press writer Elliot Spagat contributed to this story.